It’s December and Christmas is quickly approaching, but the year ain’t over yet. The year is coming to a close, but it ain’t over yet. It could be late in the fourth quarter, facing a massive deficit, but it ain’t over yet. You may feel as though your career is going nowhere, but it ain’t over yet. Perhaps you have a multitude of goals that you are yet to achieve, but it ain’t over yet. There may be estranged relationships in your life, but it ain’t over yet. 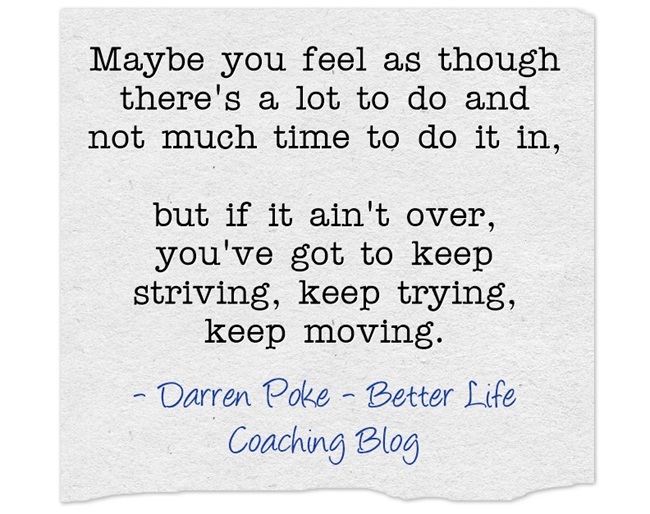 Maybe you feel as though there’s a lot to do and not much time to do it in, but if it ain’t over, you’ve got to keep striving, keep trying, keep moving. Because it ain’t over yet. That is so true for many people, even myself. Never Give Up!